Dressed to impress, The Joker is ready to take over the city! This Tuxedo Joker Plush Figure features the Clown Prince suited up and ready to go out with a bang! He may be crazy, but this funny guy is soft and cuddly on the inside. 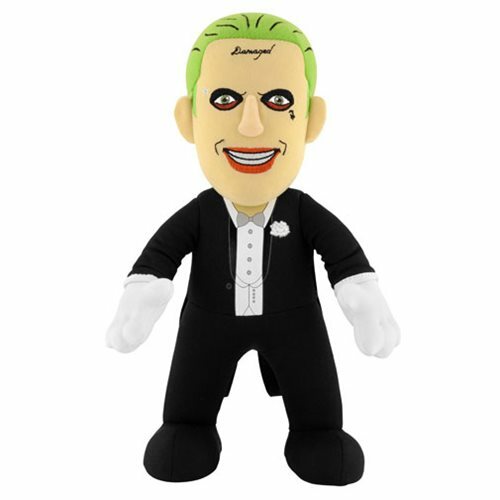 This Suicide Squad Tuxedo Joker Plush Figure measures about 10-inches tall. Ages 13 and up.